As part of a comprehensive research strategy against multiple sclerosis, a team of experts in the United Kingdom will look into the effects of chocolate among patients with the disease. The UK's Multiple Sclerosis Society will fund scientists at Oxford Brookes University to test whether fatigue, one of the most common symptoms of MS, can be reduced by chocolate. Many types of food, including chocolate, contain flavonoids which are known to reduce inflammations. Experts said dark chocolate with 70 percent of cocoa contains flavonoids. 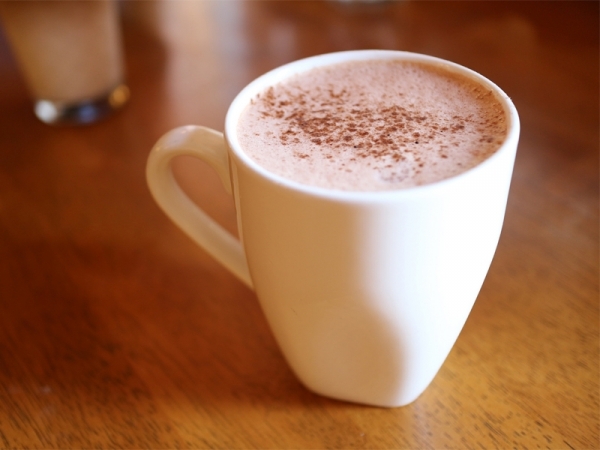 In the study, participants with MS will be given a hot chocolate drink to consume every day. Forty participants with the disease will drink a hot chocolate drink rich in flavonoids, while half of the participants will be given a hot chocolate drink with low levels of flavonoids. "There's no cure for fatigue in people with MS, although the majority of those with the condition experience this symptom at some point," said Dr. Shelly Coe, who will be leading the study. Most people believe that dark chocolate is bad for their health, but Coe explained that it has good things in it such as flavonoids. Coe also said they have presented the idea of the trial to people at the MS support groups and medics. "They've really liked it," she added. In the UK, more than 100,000 people are diagnosed with MS. Most of these sufferers deal with the crippling effects of fatigue caused by the disease every day, researchers said. "We are delighted to be supporting this project as it's quirky and unusual, but ultimately based on robust scientific evidence," said Dr. Emma Gray, head of clinical trials at the MS Society. Meanwhile, the MS Society announced earlier in November that they will support 78 new research projects regarding the disease. The society allocated more than $21 million to back studies that will focus on finding methods to stop MS, restore body functions that have been lost, and ultimately, end the disease. Scientists will pursue research on gene/environmental risk factors of MS, nervous system repair, as well as wellness and lifestyle. Cynthia Zagieboylo, CEO and president of the society, said the research grants will help in identifying every day solutions that will change the lives of those with the disease.